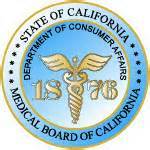 We are pleased to announce that the College of Medicine (CoM) Alfaisal University is now recognized by The Medical Board of California. With this development, our graduates are now eligible to apply for a California Postgraduate Training Authorization Letter (PTAL) or a California Physician’s and Surgeon’s certificate. This achievement is in line with the vision of the College of Medicine Alfaisal University to attain international recognition which will give our graduates ample opportunities in their pursuit of postgraduate residency training. The CoM Alfaisal University is already recognized and listed by the International Medical Education Directory (IMED) and the AVICENNA (World Health Organization) Directory of Medical Schools. The college participates in the ECFMG Medical School Web Portal, the Electronic Residency Application Service (ERAS) and the National Resident Matching Program (NRMP) in the United States of America. Graduates from the College of Medicine, Alfaisal University are eligible to register for and complete all procedures in the pathway to entering residency training in the United States. The CoM Alfaisal University is committed to and continues to work on achieving international recognition for the college with licensing bodies in different countries.